NJ Limousine Service that's on time, all the time! Over the past 31 years, we’ve made thousands of couples extremely happy with our NJ wedding limousine services and our corporate commitment to excellence. 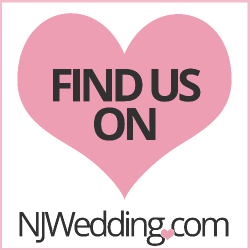 We invite brides, grooms and wedding planners to visit our wedding limo showroom in Garwood, New Jersey. Stop at your convenience to meet our staff, see our VIP vehicles and discuss booking your NJ wedding limousine or NJ limo bus. We can provide wedding limo packages with transportation services for your wedding guest’s airline arrangements. We'll make your special day truly memorable. Call John at 732-754-4660 to Discuss Your One and Only Special Day! Read all our excellent reviews on popular sites such as Weddingwire.com and Theknot.com. Action Limousine did a fantastic job on our wedding day. My husband and I booked a party bus and one limousine to accommodate both the bride and groom and the bridal party since my husband and I got ready at two different locations (30 minutes apart). Unlike other limousine companies who required a 3-hour minimum for their vehicles, Action Limo allowed us to have the one limousine for less time than that. Both drivers were extremely professional. The bus and limo arrived on time, were extremely clean, and they provided water and champagne for us. Billy, the driver of the party bus was extremely helpful during the ceremony. He helped the groom and groomsmen put their boutonnieres on and helped fix their pocket squares. He also coordinated the bridesmaids as they walked down the aisle of the church and fixed my train before walking down the aisle. When my husband and I walked out of the church after the ceremony, he had a bottle of water waiting for both of us. He was always one step ahead of us, knowing what we needed even before we knew we needed it. He also provided a champagne toast for after the ceremony. Action Limo really exceeded our expectations! We highly recommend their company. John has the best cars for weddings. The Austin Princess looked and ran beautifully on the day of my wedding. The service is also fantastic. Drivers arrived early, and knew exactly where they were going. Well-priced also, especially when combining cars. Date/Time that you need us? We invite you to check out our world-class fleet of VIP limo coaches, mini buses and limo buses, perfect for weddings, sightseeing, sweet 16 events, Bar/Bat Mitzvahs, cruise port transfers, airport transfers for groups up to 55 in complete luxury. This NJ 10-12-14 passenger limo all have a beautiful interior with all the features you could want. This affordable, NJ limo is ideal for larger NJ wedding and NJ prom groups, NJ bachelor celebration, NJ bachelorette celebration, NJ night out on the town , this immaculate,white super stretched vehicle is superb. Looking for safe and comfortable transportation for your small group? This immaculate limo van is the answer for New Jersey airport limo services, New Jersey wedding limousine services, NJ sporting events, NJ shopping trips, NJ area tours, etc. This brand new Lincoln Navigator stretched SUV accommodates up to 18 passengers in ultimate style, comfort and safety. Perfect for wedding group transportation, proms, sporting events – any occasion that calls for elegant transportation. Don’t settle for the ordinary when you can ride in one of these extraordinary, unique limousine vehicles. You will be the envy of everyone who sees you in these classic vehicles. These vintage vehicles from Great Britain represent the absolute finest in luxury and elegance.